Please join us in welcoming our newest Sarasota County Green Business partner, Go Eco Exterior Home Services. Go Eco Exterior Home Services is a full-service pressure washing business providing roof and driveway, pool cage, lanai cleaning, as well as tree trimming services. What separates Go Eco Exterior from other home services is they operate in an environmentally friendly manner. 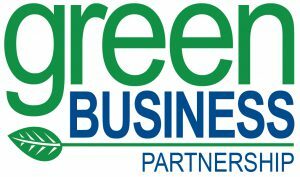 As a member of the Green Business Partnership, Go Eco Exterior Home Services is working toward a healthier environment. Using biodegradable cleaning products that are lemon-bases rather than made from harsh chemicals is an important process in Go Eco’s operation. Owner Jesse is aware of the runoff that occurs during the pressure washing process, so using a non-toxic process is important to the business. The business is focused on recycling all products and materials used on and off the job reducing their impact on the environment. Additionally, Go Eco Exterior Home Services uses all electric pumps and batteries, instead of loud, gas powered generators.